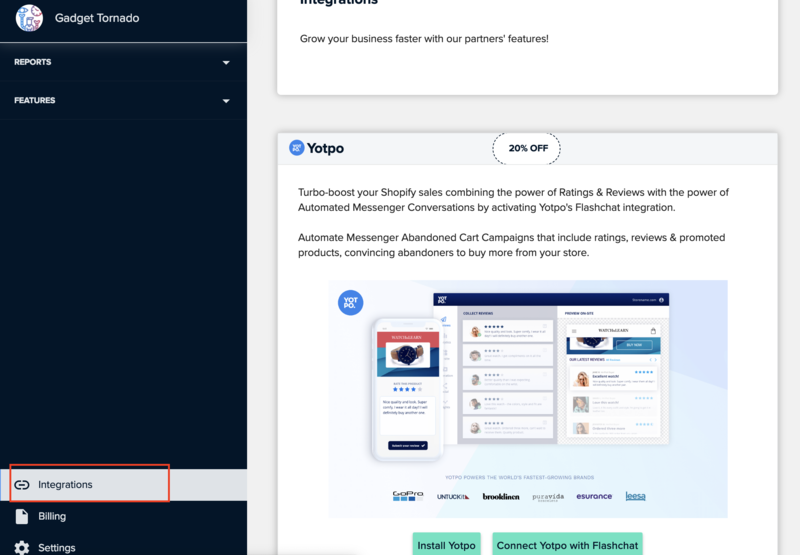 Turbo-boost your sales on autopilot by combining Yotpo’s Ratings & Reviews with the power of Automated Messenger Conversations Flashchat offers. 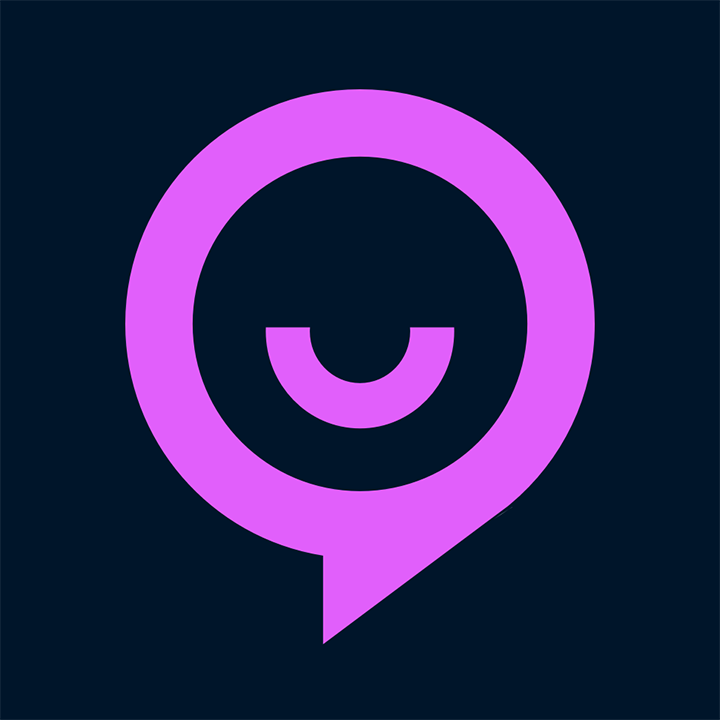 Developed with Shopify merchants in mind, Flashchat is a Messenger Marketing Platform that helps businesses to automate Messenger Conversations that recover abandoned carts & convert store visitors into paying customers. 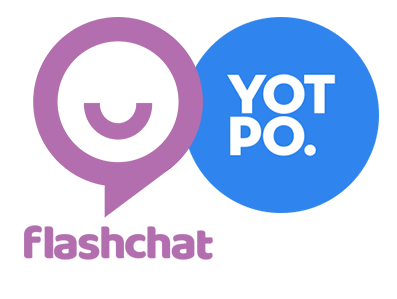 Syncing Flashchat with Yotpo is super easy. In fact, it takes less than 2 minutes. 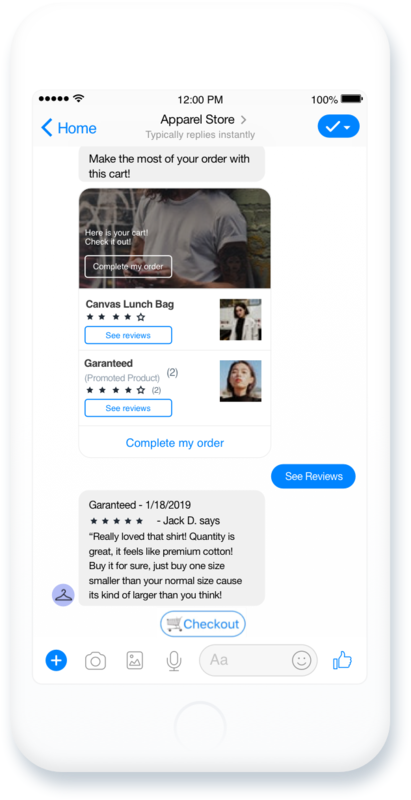 Once integrated, you will be able to leverage your best User-Generated Content automatically, incorporating product reviews & ratings in your abandoned cart messenger campaigns. You will also be able to upsell your customers with automatically generated bundle abandoned cart messages. Step Number 2: Find our Integrations Once you have completed our onboarding, you should land in our dashboard. From there, navigate to our integrations page and from the left-hand side menu. There you will find Yotpo. Things to Keep in mind while integrating. You will have to be a Yotpo Admin in order to be able to view the “Secret Key” in your Yotpo Dashboard Both Flashchat and Yotpo Shopify Apps must be installed and activated in order for them to integrate Flashchat’s Abandoned Cart Recovery feature, must be activated.